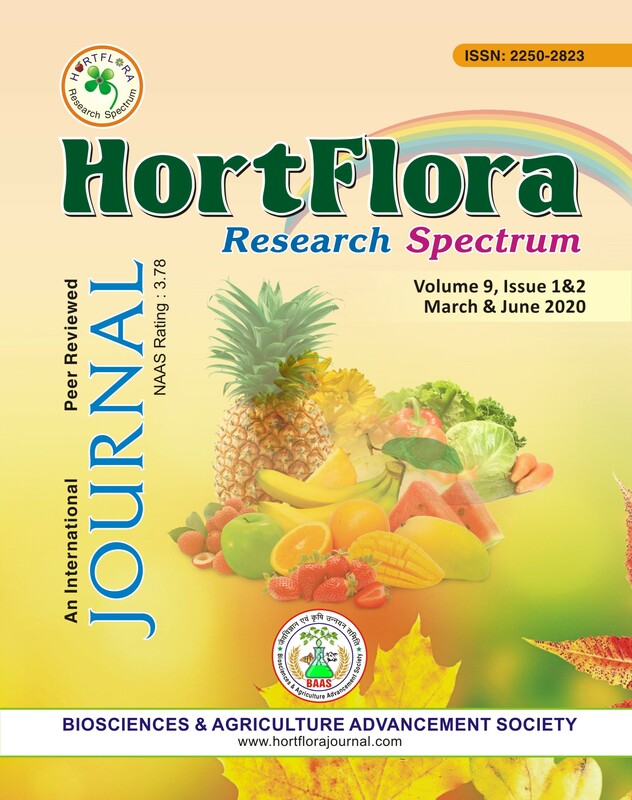 The journal HortFlora Research Spectrum (HRS) having International Impact (NAAS Rating: 3.78; ICV: 63.40, PIF: 4.079; GIF: 0.471; IBI Factor: 2.8; NJIF: 2.14; GSCIF: 0.364; OAJI Impact Factor: 0.201; Approved by UGC-Jour. No. 45792, Included in EBSCO host), publishes high quality peer reviewed/refereed original research papers, review articles and research notes on all aspects of Horticultural plants' research including agronomic management, plant nutrition, biotechnology, crop improvement, plant protection, plant physiology, cell & molecular biology, medicinal & aromatic plants, food & nutrition science, agroforestry, environmental science, plant medicinal properties, ethno-phytomedicine, technology dissemination etc. New: Current Issue of HRS- Vol. 7 (1); March 2018 has been published. Your esteemed journal has been accredited by NAAS with 3.78 rating. Fulltext PDF of papers will be uploaded shortly for online availability. 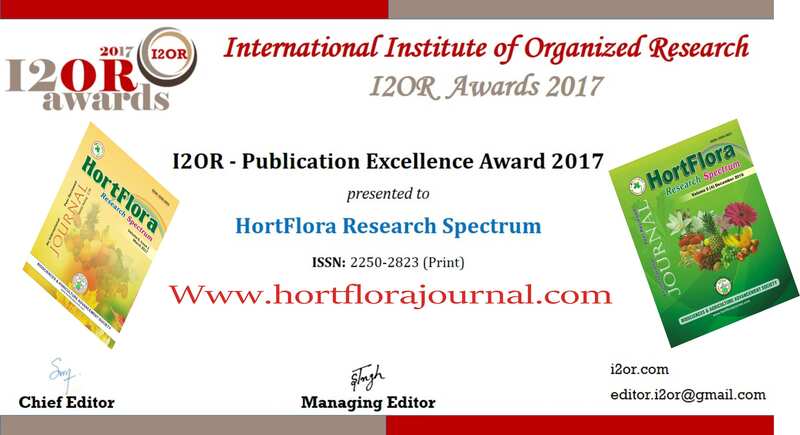 Announcement: Congratulations:Your esteemed journal "HortFlora Research Spectrum" has secured NAAS rating 3.78 w.e.f. 1-1-2017; Approved by UGC (Jour. No. 45792) Forthcoming issue of HRS is in Progress. Invitation for Original Research Papers is open: Submit your Articles for Earliest Publication. *Last Date for Submission of New Original Articles for Vol. 7 (2); June 2018 issue of HRS is 25 May 2018.